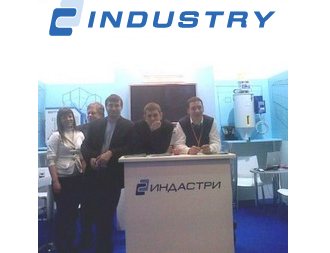 "Industry" company, MTA’s official distributor in Russia & leader in the plastic refrigeration field, had been participating to the Interplastica fair, in January this year. Interplastica is one of the prominent trade fairs, which is organized to focus on Machinery and equipment for the plastics and rubber industries. In the event 21000 visitors will be participating every year from around 56 countries. The organizations related to plastics and rubber industry must participate in this fair as they will able to show their innovative products and services. Interplastica provide an opportunity to know about various things such as Planning, design, production planning, Manufacture, production, Research, development, construction, Marketing, advertising, PR, Sales, Purchasing, sourcing distribution and many more. Industry was showing the last state-of-the-art chiller for Laser application model “T3 Laser 020” with a capacity of 10 kW equipped with piston compressor, high pressure SS 5bar pump, solenoid hot gas by-pass valve for an accurate water temperature control, non ferrous design, new “tech-in” electronic level sensor. Models available from 7 kW to 100 kW.